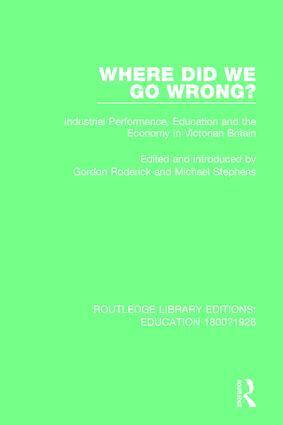 This series of edited papers, first published in 1981, examines Britain’s industrial and commercial performance in the 19th and 20th centuries against the background of the development of state education. The performance of certain key 19th century manufacturing industries are analysed and the reasons for their relative decline in the face of foreign competition is assessed. This title will be of interest to students of history and education.